New CCF Programming Structure - even MORE designed to fit YOUR level! The CCF Programming evolves one step further. We have always been very proud of our model, where progression according to your specific level has always been a cornerstone in our way of doing CrossFit. 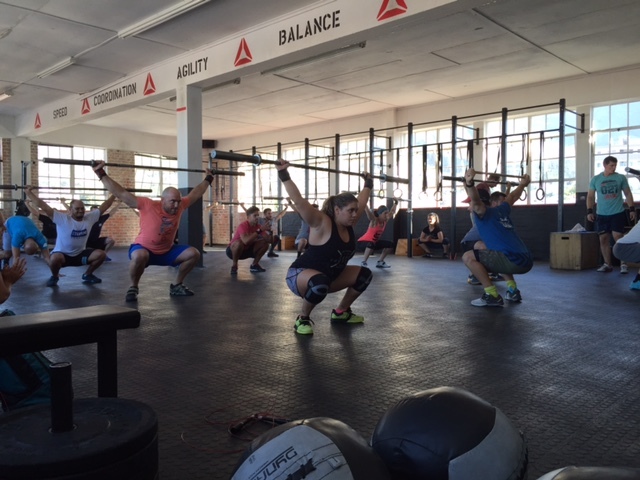 We really do believe that CrossFit is for everybody, and now we are tailoring our different levels even more to ensure that you can hit the right purpose for your capacity in all our classes! The "new" programs are designed to allow you as a Cape CrossFit member to find the exact right level for you, and for us to continue to guide you towards your highest level of Health & Fitness. A program designed for anybody wanting to do CrossFit but is either not ready for complex movements yet, or would rather want to focus on less technical movements when done at high intensity. Who is it for? Anyone! Its a perfect fit for anyone not looking at CrossFit competitions but wants to get to their highest level of fitness without complexity. What does it do? This program will strengthen your foundational strength and conditioning by focusing on "easy" to do movements more than the complex ones. How will it take me to the next level? If you are aiming at eventually getting to the "CCF Performance" level, this program is perfect. There will be skill practices built in that will allow you to fine-tune your movements to be able to pass our "Big Dawgs Test" when the time is right. At the same time we know that the Base of the Performance pyramid is Metabolic Conditioning so this level aims at building a really strong foundation. This level will be more tailored towards people who are looking for a well rounded fitness program, but not necessarily looking at competing in CrossFit in the near future. It will however be designed so that both beginners and experienced members can improve all their fitness markers continuously, yet the focus will be on building well Balanced fitness, and the program will not focus too much on "advanced movements" such as Olympic Lifting and high level Gymnastics. 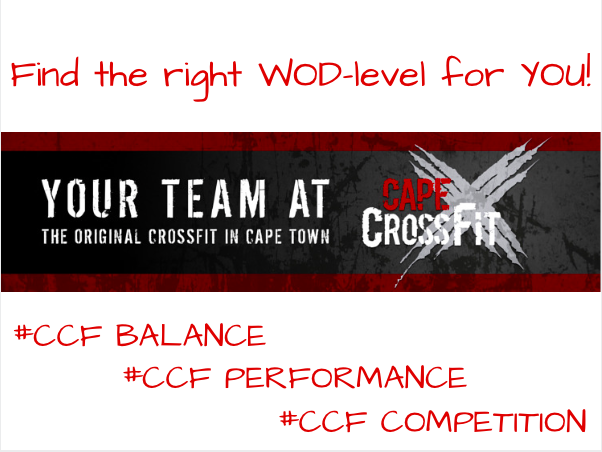 We are not saying that we will never practice Muscle Ups, Hand Stand Push Ups and those high level skills in this program - its actually the other way around as it will often be present in the skill pieces of the day, but "CCF Balance" will have less of those parts in the WOD's ensuring that high intensity can be upheld with fairly non complex movements. A program designed for those who may be looking at competing in CrossFit at any level, or simply have built such a skill base that you are ready for more complex movements in a high intensity environment. Who is it for? A CrossFitter with more experience. We require a minimum of 3 months in our regular programming before even looking at taking the "Big Dawgs Test". What does it do? This program is designed to allow you to excel in the training methods often tested in various functional fitness competitions. More Olympic Lifting and higher level of Gymnastics Skills will be common. How will it take me to the next level? If your goal is to one day be a high level CrossFit competitor, then this program can definitely take you there. Of our competitive athletes at CCF, most of them have actually started their journey with us and as their capacity has grown we have slowly but surely taken them from the basic level to our super competitive program that has built top level athletes for quite a few years now! In what classes can I do the "CCF Performance" Program? In all classes that are NOT Nitro classes. The volume is too high for this program to be done in a 45 min class so in those we will offer the "CCF Balance" program exclusively. This program will as before be designed for the competitors who are aiming at the highest level. 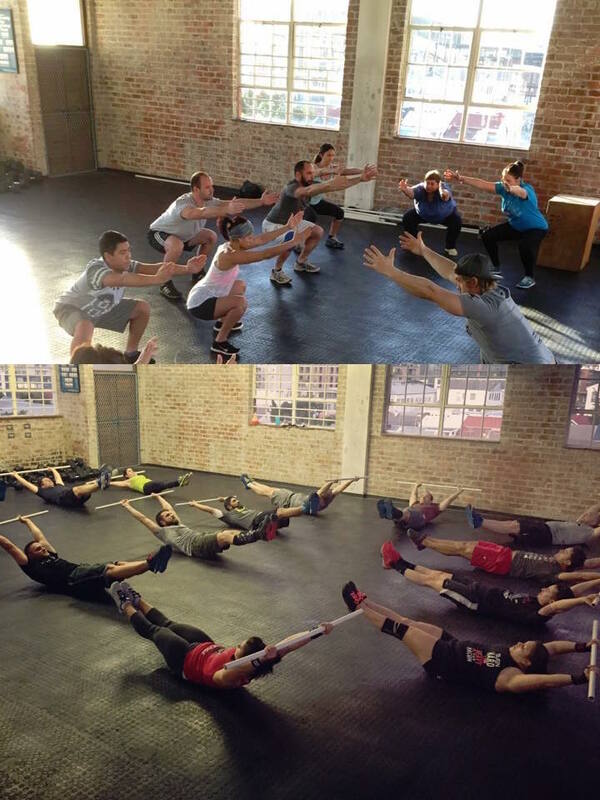 We currently have about 8 athletes following this program with success (most of the members in the team winning Fittest in Cape Town follows this program for example). This is however a High Volume program that wouldn't fit most peoples lifestyle. It requires multiple sessions in a day, and most of these athletes are training between 2-4 hours per day. Some of them have goals of one day getting to the CrossFit Games, and just like getting to the Olympics is not a "hobby" - neither is following this programming. We do run a "Wolfpack" test with even harder numbers to hit before you join this program. The "CCF Competitors" followers have access to an Open Gym environment, but also coached classes at 13.30-15.00 daily. 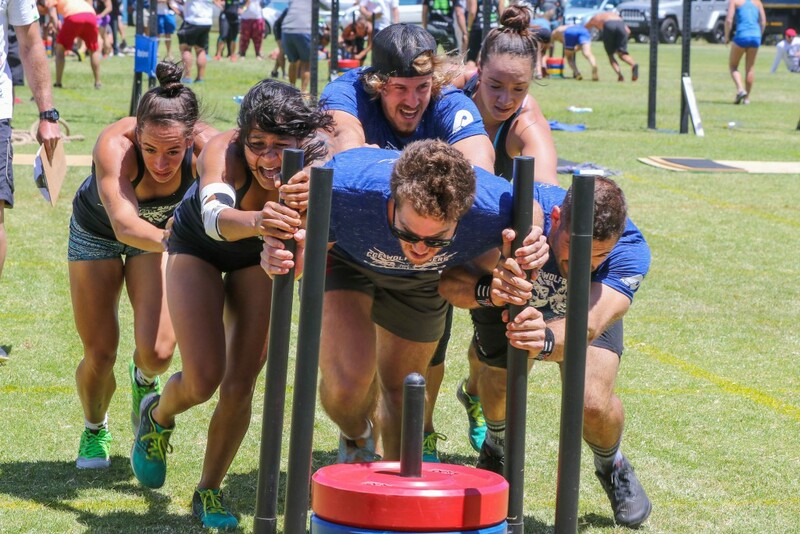 If you are interested in training with some of the best CrossFit athletes in South Africa contact Coach Chris ([email protected]), but realise that following "CCF Competitor" is pretty close to a full time job and we require a full commitment of anyone being accepted to this program. Btw, What is the "Big Dawgs Test"? The Tests aim to make sure your body is ready for the slightly higher volume in "CCF Performance". The Test consists of almost 20 parameters testing all areas of fitness which we require you to pass all of them, at least 10 have to be ticked off in class by your coach while the other will be tested in a Skill Session with a CCF Coach when you want to take your test. We require that you pass the Test with Virtuosity. This is non negotiable, if you want to start training with the "CCF Performance" program we simply need all your movements to be pretty much spotless - this is to ensure that the volume does not hurt you due to improper form. Once you have passed the "Big Dawgs Test" you are allowed to do the program in any of the regular CCF Classes, we will keep track of who is "allowed" to do the "CCF Performance" program to ensure that you stay safe by only following a program designed for your capacity and level. What can I do if I am aiming to get to the "next level" but aren't there yet? We know that many of you will be looking at the next level and will be wanting to follow that program NOW - possibly before you are ready. Trust us when we say that we know that the test is designed perfectly to tell you when you are ready for the next level of CrossFit training, if you do not pass, you aren't ready yet. And, that's ok because it will highlight where you might need to spend some more time to get to that level. We will then gladly help you to get there! We always offer Skill Sessions for our members where they can work on almost anything they want to 1-on-1 with the coaches. These Skill Sessions are 20 minutes long and have often helped an athlete to their first Hand Stand Push Ups, first Butterfly Pull Ups, an improved technique and understanding of the Olympic Lifts, or simply a better way of moving in general. If the Skill Sessions aren't enough and you really want to dig deep in 1-on-1 sessions all our coaches also offer Personal Training and the PT-rates are discounted for CCF members. Over the next couple of weeks many of the test parts will be in our regular programming so come in for as many classes as you can and you will not only be well prepared for the Open, but also see what you might need to work on to get to the next level. We will also offer add-on sessions to the "CCF Performance" program for anyone with a minimum of 6 months in the program, where there will be an "Big Dawgs Special After Party" programmed to build further capacity and gap the bridge between this program and the "CCF Competitor" program. There will be special sessions offered for 30 minutes at 18.00 in our Gardens Box ONLY (as that is our biggest box and there is enough space to run this alongside the regular classes) with Coach Chris coaching these "After Party"-sessions, but for anyone with the right amount of experience (6 months) in the program you can also do it on your own before/after a class as long as you make sure you aren't taking up too much floor space from the classes. Please communicate with your coach before you jump in to this "extra volume" and trust us to know when you are ready for it.